The Malaysian unit of Kuwait Finance House (KFH) is having “strategic alliance” negotiations in Japan, a newspaper said yesterday. “The Malaysian bank is negotiating with institutions in Japan regarding a strategic alliance to finalise Islamic banking deals in Hong Kong, Thailand, India and Indonesia,” Kuwaiti daily Al Anbaa said. It said that KFH Malaysia is interested in China, particularly after making profits from investing $275 million in a real estate project last year. Kuwait Finance Malaysia was the first foreign Islamic bank to win a licence under the Southeast Asian country’s Islamic Banking Act. It is the Kuwaiti bank’s Asia-Pacific hub and aims to promote business between the region and the Middle East. Korean lawmakers may revive legislation scuttled earlier this year amid opposition from church leaders that would pave the way for the first Islamic bond sales in the country. A group of legislators will review the proposal as early as November regulating taxes on sukuk, or bonds that comply with Shariah law, said Choi Sung Soo, assistant director of the office of the committee’s Chairman Kang Ghil Boo. Lee Man Sub, head pastor at the Korean Association of Church Communication, was among Christian leaders seeking to stop the plan on concern Islamic charities would funnel contributions to terrorist activities from zakat, a tax paid by Muslims with wealth to be distributed to the poor and needy. Sukuk sales in the nation could reach $1 billion a year as companies including GS Engineering & Construction Corp. try to raise financing that complies with Islam’s ban on interest to build power plants and skyscrapers in the Middle East, according to Korea Investment & Securities Co. The United Nations has a list of hundreds of organizations and individuals it suspects of supporting terrorism in a bid to control funding. 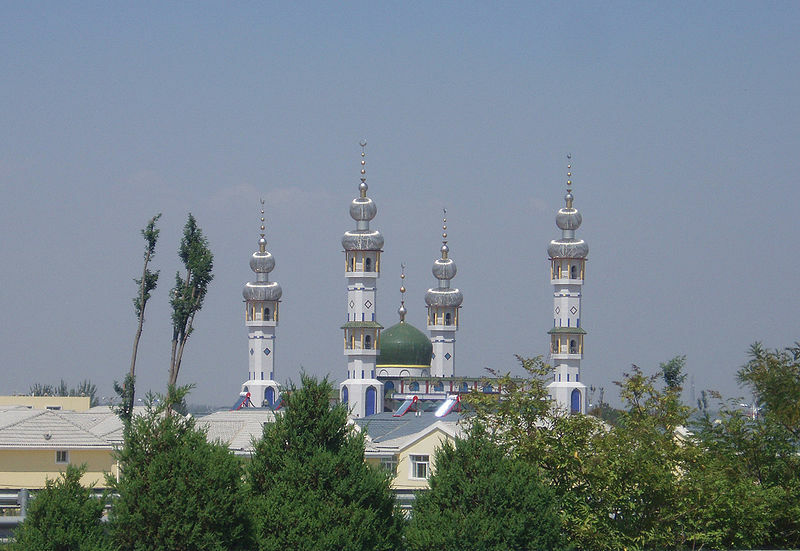 There are about 35,000 Muslim residents in Korea and more than 100,000 Muslim foreign workers, said Cho Min-Haeng, director of administration at the Korean Muslim Federation in Seoul. The country has a population of about 49 million. Protestants and Roman Catholics together make up the largest religious group in Korea, comprising 18.3 percent and 10.9 percent, respectively, according to a 2005 population census from the statistics office. About 23 percent are Buddhist and the rest are mostly non-religious, the census said. Korea Investment, a Seoul-based brokerage that said in February it hired Shariah scholar Mohammed Daud Bakar to help structure Islamic financial products, has put plans on hold because the legislation has yet to be approved. Mohammed Daud declined to comment in an e-mailed response to questions. Concern that sukuk will fund terrorist activities is a “certain kind of phobia” and is difficult to substantiate, said Lee Yul Hee, head of the Islamic finance team at Korea Investment in Seoul. Closer ties with the Middle East would help narrow Korea’s only regional trade deficit, he said. The Gulf Cooperation Council states of Bahrain, Kuwait, Oman, Qatar, Saudi Arabia and the United Arab Emirates pumped 68 percent of Korea’s oil and 53 percent of its natural gas last year, causing a $38 billion deficit, according to the Korea International Trade Association. Korea Electric Power Corp., the nation’s biggest supplier, won a $20 billion contract to build nuclear power plants in the U.A.E. in December. Samsung Engineering Co., its biggest engineering company, won a $1.5 billion contract in April to build utility and offsite facilities for a gas project in Abu Dhabi. Samsung C&T Corp., the second-biggest contractor, built the world’s largest tower in Dubai. All the companies are based in Seoul. Woori Investment & Securities Co., a unit of Korea’s third-largest financial company, signed an agreement in March with Qatar Islamic Bank SAQ, the Gulf state’s biggest Shariah- compliant lender, to cooperate in investment banking services, the Asian company said in an e-mail on March 10. Mohamed Azahari Kamil, head of Asian Finance Bank Bhd., the Malaysian unit of Qatar Islamic, said the issue of terrorism was never discussed. Islamic bonds, which are based on the exchange of asset flows rather than interest, returned 3.7 percent this quarter, beating a 0.8 percent gain in the three months ended June 30, according to the HSBC/NASDAQ Dubai US Dollar Sukuk Index. Debt in developing markets gained 7 percent this quarter, JPMorgan Chase & Co.’s EMBI Global Diversified Index shows. The spread between the average yield for sukuk and the London interbank offered rate narrowed eight basis points, or 0.8 percentage point, so far in August to 393, according to the HSBC/NASDAQ index. 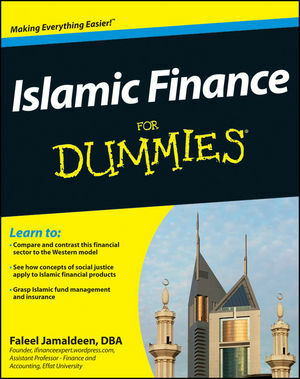 Global sales of sukuk fell 14 percent to $10 billion so far this year, according to data compiled by Bloomberg. Issuance totaled $20.2 billion last year, up 43 percent from 2008. Debt offerings will increase in the second half, led by first-time issuers, because of improved international market conditions, Standard & Poor’s said in a statement on July 28. The yield on Malaysia’s 3.928 percent dollar-denominated Islamic note due June 2015 fell 25 basis points this month to 2.67 percent, according to prices from the Royal Bank of Scotland Group Plc. Korea’s Ministry of Strategy and Finance is pushing ahead with plans to sell Islamic bonds to diversify financing, said Sohn Byung Doo, director at the international financial policy division in Seoul. The global credit crisis in 2008 caused international funds to leave the country, he said. “Sukuk will allow Korea to diversify funding sources, especially since capital flight during a crisis may dry up money pools,” he said. AFFIN Holdings Bhd and its foreign partner, Hong Kong’s The Bank of East Asia Ltd, have submitted a proposal to the China Banking Regulation Authority (CBRA) to open China’s first Islamic bank. “CBRA is currently still studying the regulation and practices of Islamic finance. We hope to be the first Islamic bank in China once the authority has come up with the regulations,” said BEA chairman and chief executive officer Dr David K.P Li in Kuala Lumpur yesterday. The partnership will allow Affin Bank to make use of over 240 BEA branches worldwide covering Hong Kong, China, North America, the UK and Southeast Asia. BEA is also the single biggest foreign shareholder of Affin with a 23.5 per cent stake. “We are confident that this strategic alliance will place both banks in a better position in many Asian markets and enable us to tap an even wider business opportunities,” Affin Holdings chairman Tan Sri Mohd Zahidi Zainuddin said. Early this month, Affin Bank bought Indonesia bank PT Bank Ina Perdana for RM138 million, its first venture outside of Malaysia. It may also offer Islamic finance services in the country which has a population of more than 200 million people. Affin Bank owns an Islamic banking subsidiary, Affin Islamic Bank, which started operations in April 2006. SUMITOMO Corp is arranging the first Islamic funding deal in Japan, which could pave the way for other Japanese issuers to tap the US$1 trillion (RM3.20 trillion) industry, a source with knowledge of the deal said in Kuala Lumpur yesterday. The yen-denominated issue, which would be the first by a Japanese issuer in the country, mirrors the structure of Islamic bonds but is not strictly sukuk as Japan’s banking regulations do not provide for such an offering. The issue would follow a recent US$100 million (RM320 million) Islamic bond sale by Japan’s top brokerage Nomura Holdings in Malaysia, and reflects growing interest by the Asian economy in syariah-compliant financing. “Just like Nomura, Sumitomo is keen on exploring Islamic finance,” said the source who asked not to be identified as the deal has not been announced. Sumitomo was not immediately available for comment. The deal is expected to be signed in the third quarter and the issuance amount has yet to be finalised. The issue would be underpinned by a series of sale and purchase transactions to meet the syariah’s requirement that financing deals have to involve specific assets. Japan has been keen to develop its Islamic finance market, and state-owned Japan Bank for International Cooperation said in 2007 that it wanted to sell sukuk although that plan has yet to materialise. “There is a need to educate the Japanese investors on what the sukuk structure represents and the various sukuk structures that are out there,” said Lum Choong Kuan, head of fixed income at Malaysia’s CIMB Investment Bank.